Forged from galvanised steel, the heavy-duty boot scraper is ideal for installing next to a front or back door to remove mud and leaves from shoes and wellies. Designed in a similar style to Arthur Jack’s classic garden planters and window boxes, the scraper boasts a traditional Tudor rose and is finished with a special treatment to give an aged patina. 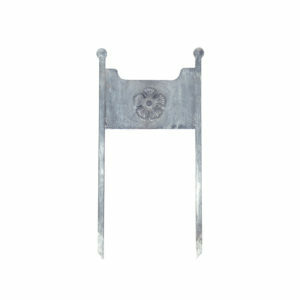 The boot scraper is made from 1.5 mm galvanised steel. Completely rust-proof, it will last for decades no matter the weather.